Updates to Michael C "Mickey"'s profile since your last visit are highlighted in yellow. I enjoy 4 wheeling through old Ghost Towns, target shooting, working with Veteran groups, Philosophy of Love (I wrote this in Vietnam in 1963) Love is simply two hearts, each fertle to the other's need, each supportive of the other's goals, and each understanding that failure and mistakes are destined to happen in both of you, its like your guardian of the other's balance in the scale of life. 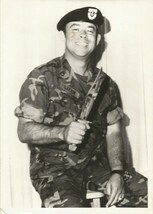 Joined the Army went to Jump School, then Special Forces, received the Silver Star in Vietnam (2nd tour) two purple hearts. Went to Law School in Los Angeles, on the GI Bill, went to work for the Government (Taught Contract Law), and then was appointed as a Magistrate by the Commenwealth of Virginia Supreme Court. Retired (2nd time) 1999. I race sports cars in my spare tiime with the SCCA (Seems I am just as busy when I worked. Do Not Practice law anymore. What teacher inspired you the most & how has it affected your life? Michael C "Mickey" Stern has a birthday today. Michael C "Mickey" Stern posted a message. I have met some of my friends at Claremont, it is a wonderful experience to catch up after so many years. Michael C "Mickey" Stern updated his profile. View. Michael C "Mickey" Stern changed his profile picture. 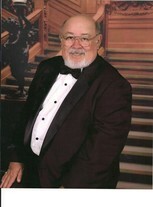 Michael C "Mickey" Stern changed his "Now" picture.